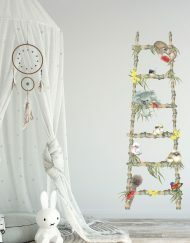 Unique removable wall stickers, baby onesies, prints, cards, coasters, mugs & decals. 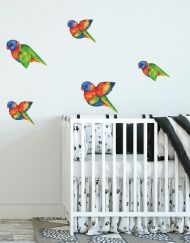 Unique wall stickers, baby onesies, prints, cards, notepads, coasters, mugs & decals. 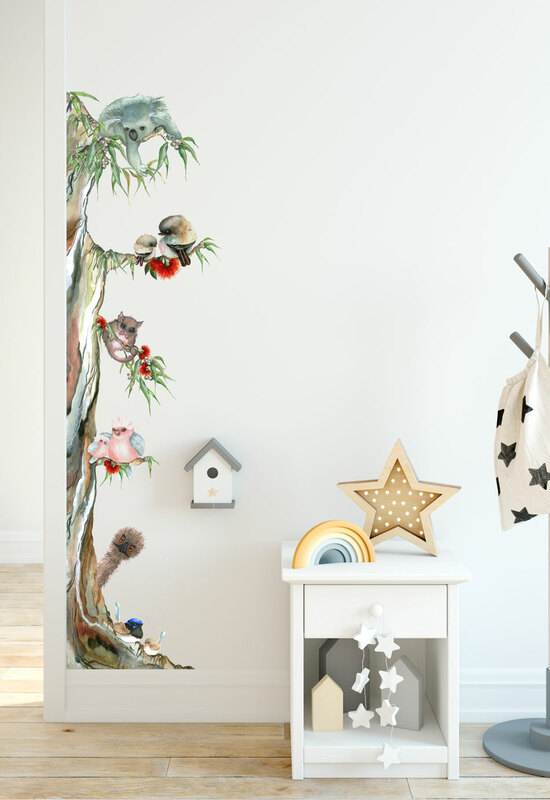 Cute Australian animals are the new trend in nursery and kids bedroom/play area designs – and it’s no wonder! 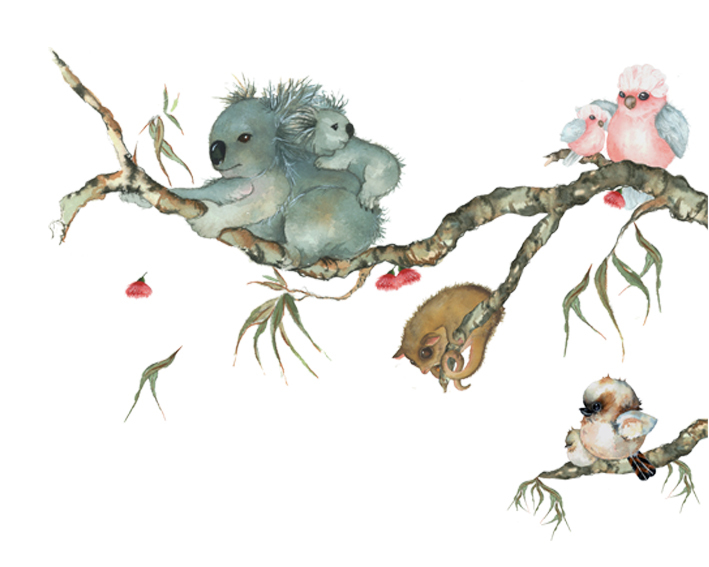 Who can resist these super cute Aussie animals? 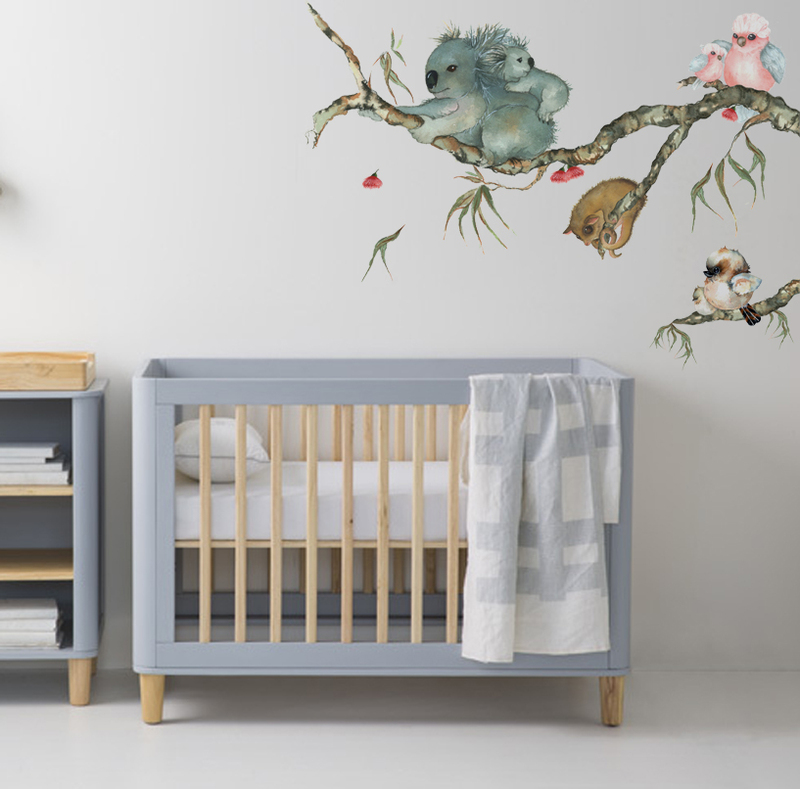 This design incorporates many of the popular iconic Australian animals, such as the Kookaburra, Possum, Galah and of course the Koala! 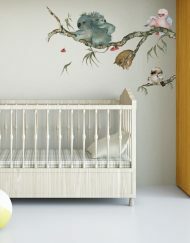 The branch design looks great hanging over a cot, bed or chest of drawers, or coming out from the frame of a doorway or window. 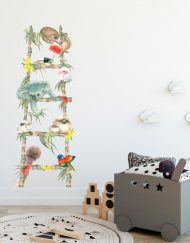 If you want to theme your whole room we have other Aussie Friends available to compliment this branch wall sticker. Spark your child’s interest in our unique and wonderful Australian wildlife. 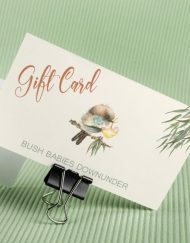 Perfect for sending to loved ones interstate or overseas, as these are light weight and easy to post! 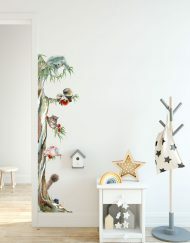 Aussie Friends Branch Removable Wall Sticker - "Arrived promptly and as advertised - we love it!!" Blue Wren Baby Onesie/Bodysuit - "Adorable! I love the print and the onesie is a nice quality basic cotton one." Blue Wrens Medium Watercolour Print - "This was a perfect Mother's Day gift. 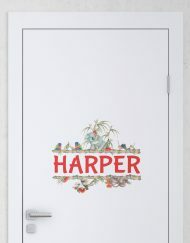 My mother-in-law loved the print & the very special personalised card that was included. 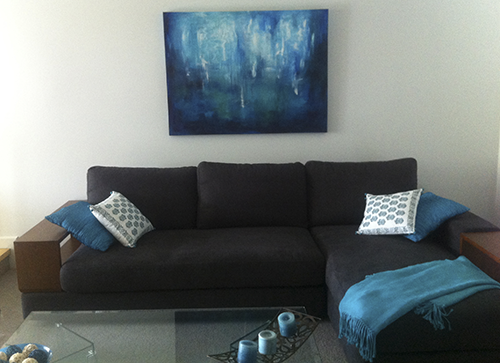 Sharyn was so kind & helpful during the whole transaction, I couldn't be more appreciative."